HOW IS THE NAME “memory foam” GENESIS? In the 70 was developed by NASA memory foam. At the launch of the space shuttle is a huge power gear free (G-forces). To cope better with these forces and to distribute the body was developed memory foam. The memory foam was never actually used in space shuttles. 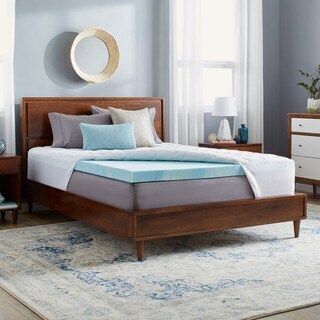 Memory foam mattresses have many names: NASA foam mattress, Visco elastic foam mattress, foam mattress comfort, anti-decubitus mattress, medical foam mattress, lazy foam mattress and memory foam mattress. All names fall within the concept mattress. HOW IS a memory foam mattress MADE? Memory foam is a unique material. Memory foam is made from polyurethane foam as polyether and cold foam. The difference between the types of foam can be found in the cell structure. Memory foam has empty cells that are air-permeable. Thus, the air will not be pressed together as the cells are pressed together. The result is that memory foam reacts delayed. Pressing the memory foam mattress takes more energy and bounce back to its original state is slower than other mattresses. CAST or foamed memory foam? Memory foam can make in two ways: Casting and foaming. What difference does it will make you think? There are great differences in quality among molded memory foam and memory foam. Molded memory foam is of lesser quality. The biggest difference is the price. Molded memory foam is cheap because the production process is much shorter than in foams. Foamed memory foam is breathable and wicks moisture and heat thoroughly. How to recognize the different types of memory foam? Molded memory foam feels rubbery, and foam memory foam feels like a sponge. Memory foam with open-cell structure has the best moisture and air ventilating properties. The combination of pocket sprung with memory foam gives the best ventilating effect. The memory foam feels cool to the touch and has good moisture management. A memory foam mattress with pocket springs core is ideal for sleepers who easily hot or sweat a lot. OPEN CELL STRUCTURE OF CLOSED CELL STRUCTURE? Memory foam has an open or closed cell structure. The production of particular memory foam has an open or closed cell structure. The making of memory foam with an open cell structure lasts longer and therefore more expensive in price. Memory foam of high quality has an open cell structure. Cheaper memory foam mattresses often have a closed cell structure. The significant advantage of the open cell structure with memory foam mattresses is that wick moisture and drain well. The memory foam mattress will feel cool and fresh. Memory foam mattresses with an open cell structure suitable for sleepers who have difficult with a clammy feeling during sleep. Density memory foam can vary widely. Density is expressed in kilograms per cubic meter. The values start at 40 kg per m3 run up to 85 kg per m3. The density tells you how close the cells tightly together per m3. The higher the values, the closer the cells are packed together. The density in memory foam says something about the weight per m3 and the density of the cell structure. In cold foam and polyether foam is a higher SG or HR values well. With memory foam works differently. The more kilos, the more mass. The cells are smaller, thus increasing the density. The smaller the cells despite takes more breathability from memory foam. It has the effect that it is hot, less moisture away and slow-moving. Says something about the density, the hardness of memory foam? It says nothing about how soft or hard is a memory foam mattress. What can you keep best if you buy a memory foam mattress? It is important to find a good balance between the cell density and the ventilation capacity of memory foam. The values that begin with the best memory foam from 50 kg per m3 to 65 kg per m3. You can if you want to embroider anything, e.g., Logos, names, etc. in both large and smaller sizes. It is possible to stitch preset designs. But what’s more fun than an idea to convert to a full embroidery. There are different kinds of embroidery machines. Below are the various embroidery machines will be explained in more detail. This is an embroidery machine that can embroider only (not sewing). 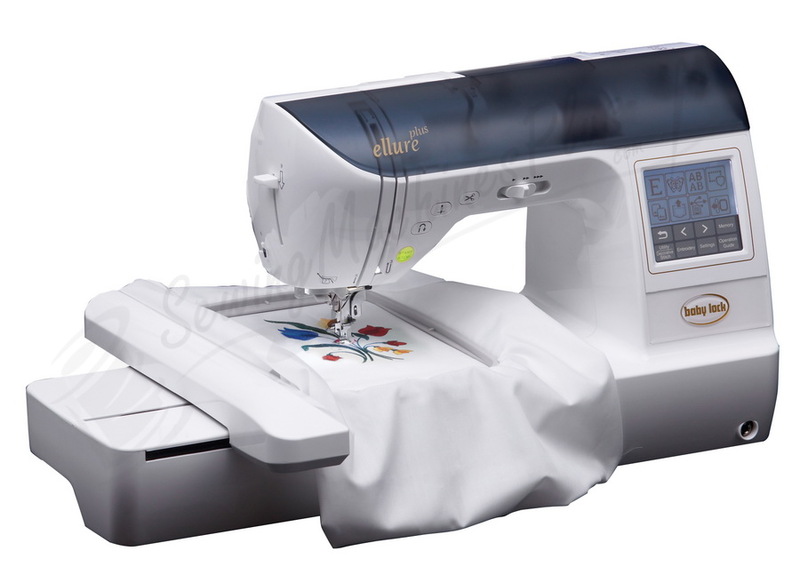 These embroidery machines are well suited for the seamstress who occasionally what do embroidery and while embroidering just wants to continue working on her sewing machine. These are machines that are both sewing and embroidery machine. For someone just starting out with this hobby, there are already very competitive sewing and embroidery machines available. These are more limited in capability, but you can of course already very much. If the demands are higher, there is available an embroidery machine for any desired level. The top devices of most computer brands can be found in this class. Everyone has a fair, or a shopping mall saw a company that embroiders names on towels or motives baseball caps. They make use of this technique. 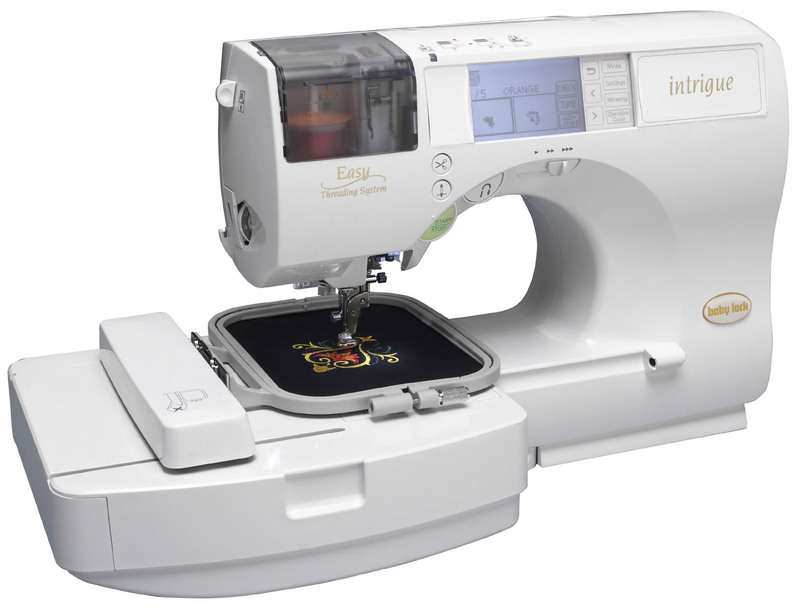 These embroidery machines can only embroider and seem no longer an ordinary sewing machine. They are equipped with multiple needles and can at high speed and without any time be changed yarn embroidery motifs. So you have a lot of embroideries, this is the kind of embroidery machine that you need. All these tools can be used in combination with software. So you have the complete freedom to create a motif and the stabbing your desired embroidery. The variation and design possibilities depend on the embroidery package you choose. Most seamstresses follow the rule of thumb when selecting sheets stabilizer. The heavier the weight of the fabric, the lighter the plate and the lighter weight of the material, the thickness of the plate. However, there is another challenge for lightweight fabrics. Stabilizing plates are usually located on the side of the fabric, whereby the shine through fine dust or transparent. Although most of the sewers using stabilizers against cracks, which are torn around the edges, often also to stretch tissue or cause deformation. 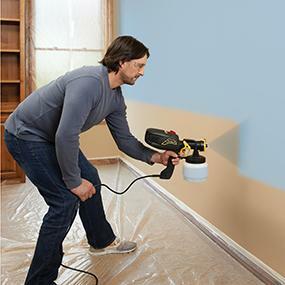 Use Cut-away stabilizers, in which soft textures and transparent or poly-mesh to reduce the risk of wrinkling or ghost outlines around design. Using the wrong needle size with delicate fabrics results always marks visible puncture. Eliminate this frustration by selecting the appropriate size needle for the fabric type. Refer to the table of fabric and needle sizes in the manual of the embroidery machine. Needle sizes are available with different needle points, which influence the way in which the needle penetrates the tissue. For example, needles flat-tibia eye of standard size and are often interchangeable with sewing and embroidery. This type of needle is provided with a ball or sharp, depending on the kind of fabric. Cutting needles have a narrow pit, perfect for piercing through the dense texture and delicate fabrics needles ball for fine knits. The size of the needle should automatically adjust the tension of the above thread. The size of the needle and the operating voltage of hand in hand together with other components, such as support, wire, and plate stabilizer. 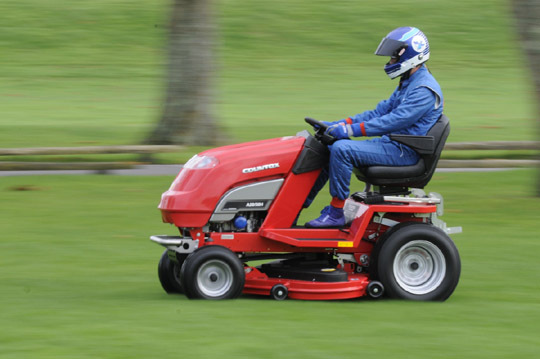 Always refer to the manual of the machine for the recommended charts drive voltage for adjusting or choking. Using sewing thread for all applications embroidery always leads to strand breaks, on stabbing beaten and often broken needles. Sewing threads, generally used for sewing clothes, a structure other than yarn embroidery body. This type of wire has a slightly thicker and is resistant to high-density stitching to sections complete embroidered. Manufacturers such as Robison-Anton, Madeira or Floriani, produce different sizes and types of yarns such as polyester, cotton, rayon and silk. Read labels wire before your purchase thread for machine embroidery lace embroidery thread, which can be identified significant differences in quality.